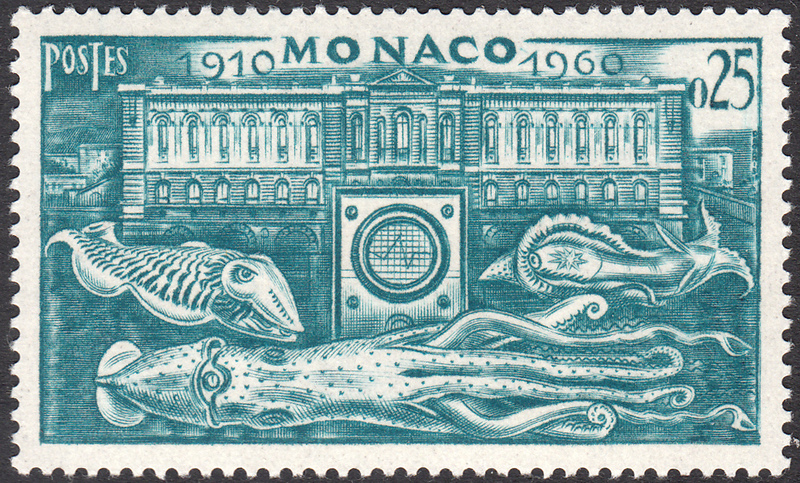 In 1960 Monaco issued a set of six stamps to commemorate the 50th Anniversary of the Monaco Oceanographic Museum. 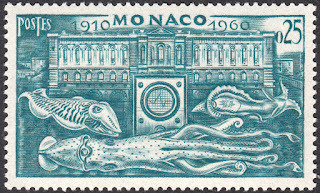 One of the stamps in this set was engraved by Albert Decaris. 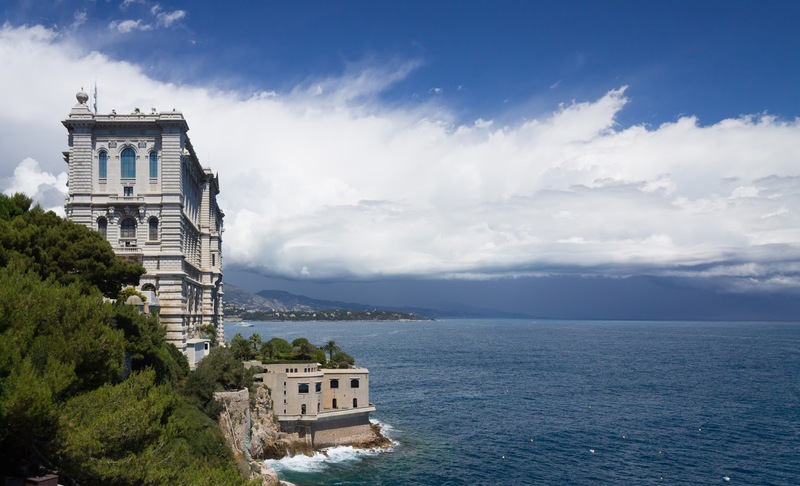 The Monaco Oceanographic Museum is located in Monaco-ville, and the building itself is built into the side of a cliff face overlooking the ocean. It is an amazing building in the baroque revival style, and it took workers some eleven years to complete. 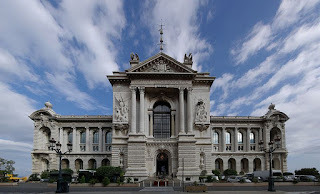 The museum was inaugurated in 1910 by Monaco's Prince Albert I. In looking up the history of the museum, I was surprised to discover that the great Jacques Cousteau was the director of the museum from 1957 to 1988. I recall watching Mr Cousteau on TV as a kid. The singer/songwriter John Denver wrote a song dedicated to him, called Calypso, which was the name of Cousteau's boat. 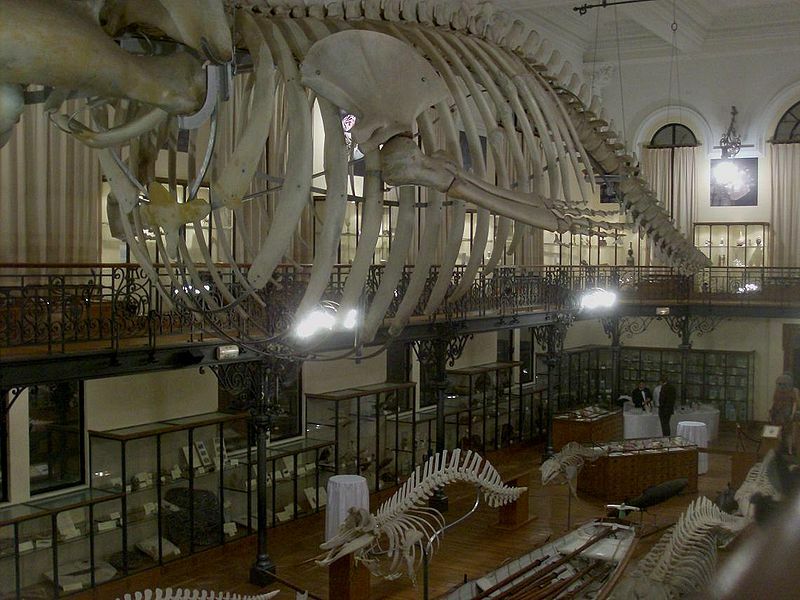 The museum is also known as the Jacques Cousteau Museum. The museum is home to a large variety of sea fauna such as starfish, turtles, sea urchins ,jellyfish, crabs, sharks, lobsters and many more sea critters. There are even some skeletons! It is also home to an amazing octopus sculpture. In the background we find the façade of the museum. 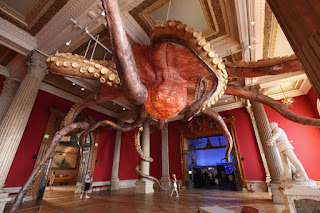 and in the foreground various Cephalopods are displayed, swimming around an oscilloscope, a device used to study the electrical properties of marine life.